You may have noticed that I haven’t been posting as often over the last few months due to the fact that I am immersed in teaching right now. It definitely is a full-time job! I enjoy the challenge of teaching my Grade Six class but at the same time, I will admit, I am ready for the Easter Break coming up. I don’t intend to assign them any homework over the break, and I am trying to get all my marking done, so I don’t have any homework either! In the midst of my busy schedule of teaching, I have been observing at a distance the shenanigans happening south of the border in what the U.S. refers to as “elections”. I have refrained from commenting either way, up until now, because I honestly do not know all the ins and outs of the complicated processes it takes to elect someone to run for President of the United States of America. 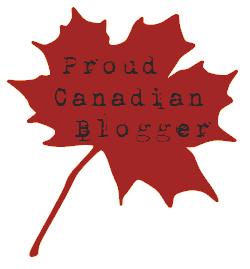 That said, as a Canadian watching from the other side of the fence, so to speak, I must say that I’m a little troubled. Now, don’t get me wrong. All the candidates have their faults and are not as “up-front” about the skeletons in their closets, however only one elicits riots and fisticuffs when he speaks and only one spews hate-filled propaganda from the podium, and only one claims to be a Christian but has said outright that he has never asked for or felt the need for forgiveness. I think his definition of “Christian” is far different from mine. Yet, evangelicals by the thousands are enamored by him and he’s on his way to being their elected candidate to run for the highest office in the free world. Something is definitely amiss. Last week, our Prime Minister, Justin Trudeau and President Obama met for meetings and a celebrated State dinner in Washington, D.C. There was friendly camaraderie between the two of them and I suppose that’s a good thing when Canada and the U.S. are close neighbours. I wonder what the relationship will be like if Mr. Trump should become President? There are already some Canadian cities that are prepared to welcome American “refugees” if he should take power. Now that’s just weird! Canada has its own set of troubles. I will admit that. We are a nation that is on the precipice of removing any mention of God in our constitution and National Anthem. I weep for my nation that seems to have abandoned God and I just hope and pray He doesn’t abandon us! But the U.S. has always seemed to me a country that still wants to hang on to the sentiment and words their nation was founded on. That’s why I find it troubling that a nation that says in its constitution: “We the People of the United States, in Order to form a more perfect Union, establish Justice, insure domestic Tranquility, provide for the common defence, promote the general Welfare, and secure the Blessings of Liberty to ourselves and our Posterity, do ordain and establish this Constitution for the United States of America” is backing a candidate who threatens “domestic Tranquility” and “general Welfare”. I find it troubling that people who recite with gusto their Pledge of Allegiance, “to the flag of the United States of America and to the Republic for which it stands, one Nation under God, indivisible, with liberty and justice for all”, are backing a candidate who wants to exclude certain groups of people from that “liberty and justice for all”. 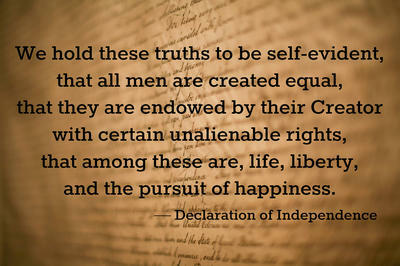 I find it troubling that a nation of patriotic people, who hold “truths to be self-evident, that all men are created equal, that they are endowed by their Creator with certain unalienable Rights, that among these are Life, Liberty and the pursuit of Happiness.–That to secure these rights, Governments are instituted among Men, deriving their just powers from the consent of the governed, –That whenever any Form of Government becomes destructive of these ends, it is the Right of the People to alter or to abolish it, and to institute new Government, laying its foundation on such principles and organizing its powers in such form, as to them shall seem most likely to effect their Safety and Happiness”, are in fact on the verge of instituting a government that will ultimately negatively effect their “Safety and Happiness”. This entry was posted in Proverbs 16:9 - Journey Thoughts and tagged Constitution of the United States, Donald Trump, Pledge of Allegiance, troubled, U.S. elections. Bookmark the permalink. I really enjoy your postings and like you I am concerned about this “farce” called an election. However, there was something else in your posting that disturbed me. You referred to President Obama, the man holding the highest office in the land, as Mr. Obama, and not President Obama…why? I’m just curious. I really think he deserves a bit more respect since he is serving as the President of the United States of America, don’t you? You are quite correct, Joyce. I apologize. I will change the title to reflect his office. What i find most troublesome is that Christians use their faith and public platform to JUDGE others. Not by meeting the person or knowing others but based on the news media reports! Although i may not be a Trump supporter, I refuse to judge whether he is a Christian or not based on news media reports. If the news media covered each of our lives and quoted everything we ever said would we appear to be perfect Christians? I think not. I will pray about voting and vote as I feel directed to vote. Lynn, I live south of your border in the U. S. and I am also troubled. I find it hard to wrap my head around the thinking of Christians who want Mr. Trump for our President. I guess the anger in our people is stronger than I ever imagined. I pray and pray over this. It will be time for me to vote soon and I am very worried about who will be left on the ballot. I cannot imagine anyone wanting a man like Mr. Trump and what he stands for to lead our wonderful country. It is a very scary time for our country and for me as a voting citizen.